At a Book Store near you! Drawing on the work of independent thinkers, economists, scientists and historical evidence going back thousands of years, this book challenges conventional thinking about global warming, overpopulation, sustainable agriculture, social and economic injustice, clean energy, environmental pollution, greenhouse gases and zero carbon -and how best to heal our ailing world. The book argues that the most important element in helping us understand just where it is that we have gone wrong, and how best to go about fixing it, is to first examine the oft-forgotten connection between land use and monetary policy. Examples of how the current monetary system serves to undermine all efforts to right the planet are sprinkled throughout the book and contrast sharply with the types of environmental, monetary, legal and economic reforms that many of the world's leading independent thinkers agree are necessary if we are to avoid environmental and social catastrophe. The first portion of the book focuses on the relationship between climate change and land use, particularly in the agriculture and energy arenas. Here the reader is introduced to a unique form of agriculture known as regenerative agriculture - through which it is possible to dramatically reduce CO2 and associated soil and water pollution while at the same time help to rebuild our dangerously depleted agricultural soils. Surprisingly, this form of agriculture can also dramatically reduce the amount of land devoted to food production and at the same time provide us with the astonishing ability to feed the world's billions 20 or 30 times over with high quality, nutrient dense foods. In this first portion of the book the reader also learns about �land friendly� energy alternatives that bear little resemblance to today's land hungry �clean� or �green� energy alternatives. The last portion of the book explores the relationship between land use and monetary policy which the modern world inherited from ancient Mesopotamia. It is the extractive nature of this monetary system which encourages the high risk gambling characteristic of trifecta bets that destroys the land and deprives the people of the fruits of their labor. 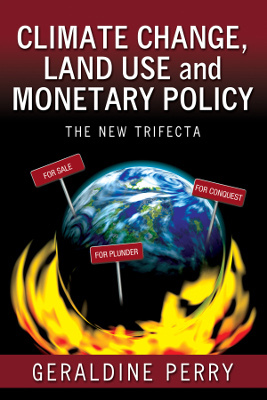 Land use is the problem and �land friendly� monetary reform is the solution.